President Emmerson Mnangagwa has committed to eradicate medieval diseases such as cholera and typhoid saying his government is working to address challenges related to clean water and sanitation provision as well as sustainable waste management practices. Addressing the opening session of the ninth parliament which combined with his inaugural State of the Nation Address today, Mnangagwa said his government was perturbed by the current outbreak of water borne diseases which has so far claimed the lives of over 30 people. “My Government, is indeed gravely perturbed by the current outbreak of water borne diseases such as cholera and typhoid in some parts of the country. “It is regrettable that this has resulted in the wanton loss of life. Let us, as a nation commit to permanently eradicate these medieval diseases, mainly through addressing the challenges related to clean water and sanitation provision as well as sustainable waste management practices,” said Mnangagwa. He added that his government will work on modernizing the education and health infrastructure through seeking incremental investments in the social services sector. “The need for modern education and health infrastructure cannot be over emphasized. We will seek incremental investments in our social services sector to achieve our desired goals. 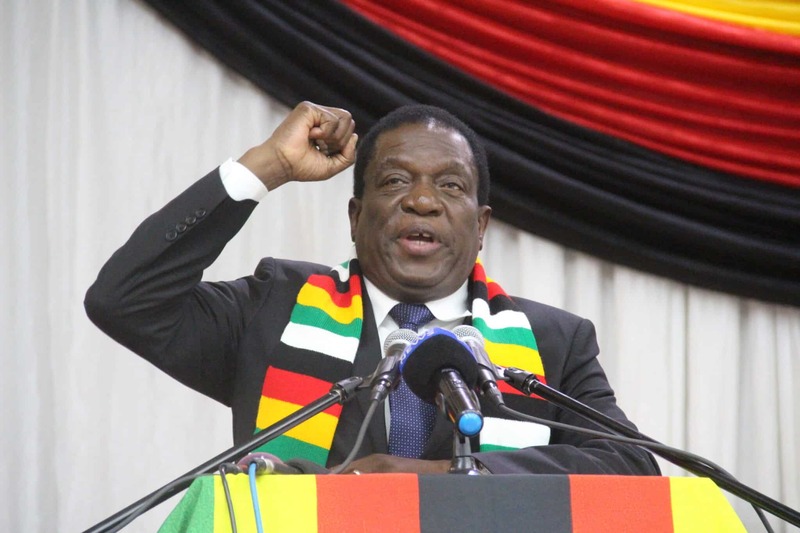 “As our economy grows, we shall ensure that the requisite social safety nets are in place for the more vulnerable members of our society,” said Mnangagwa. Meanwhile, Mnangagwa has said his government will continue to ensure policy consistency, transparency and predictability underpinned by fiscal discipline and a responsive bureaucracy. He noted that the mining sector remains a key component of the country’s economic recovery programme with the production performance of gold, platinum and chrome encouraging. “The mining sector remains yet another key component of our economic recovery programme. The production performance of gold, platinum and chrome sub- sectors are encouraging. “My administration will facilitate further revival of the sector and broaden the range of minerals exploited,” added Mnangagwa. He also spoke on his government’s commitment to accelerate the development and modernisation of our roads, railways, airports, energy and ICT infrastructure which he said must be in sync with domestic realities as well as the on-going quest by SADC and Africa as a whole, for enhanced connectivity and integrated infrastructure.